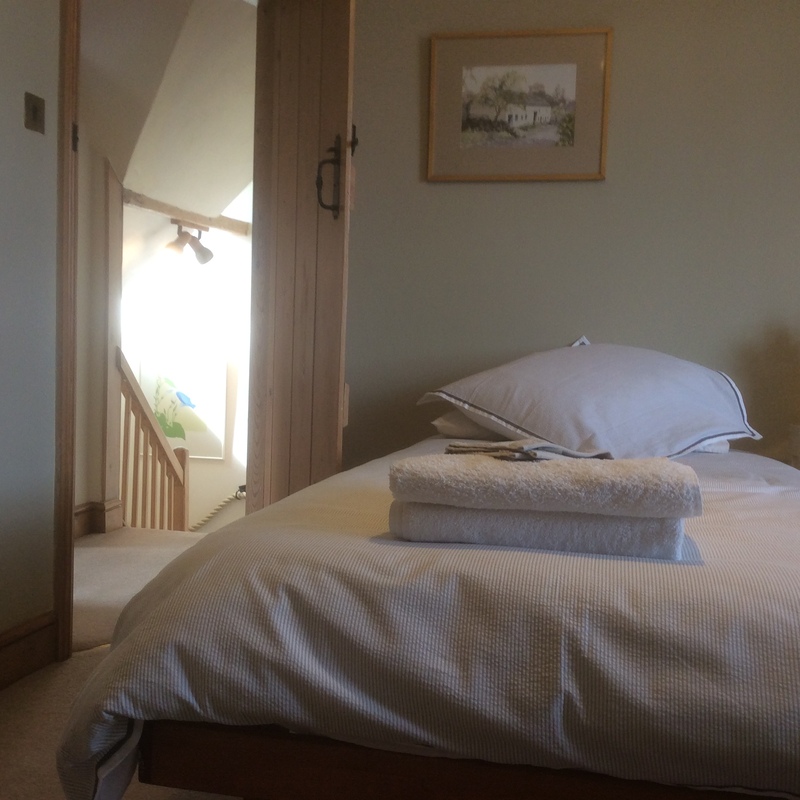 Our twin bedded room in the old part of the cottage faces north with views over the Amberley Wildbrooks. 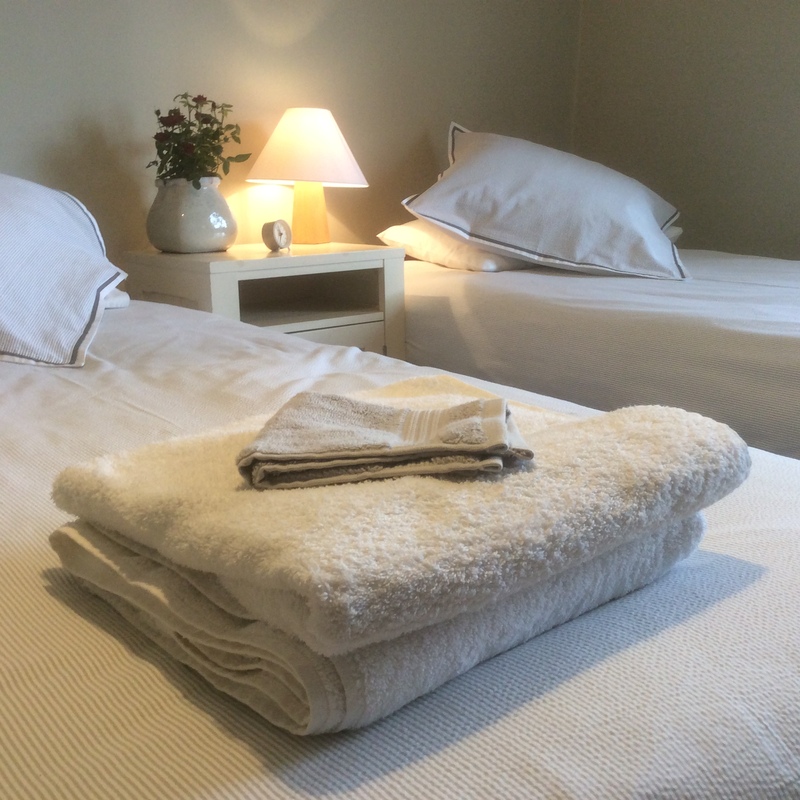 A fully stocked hospitality tray, with TV and free WiFi are all supplied. 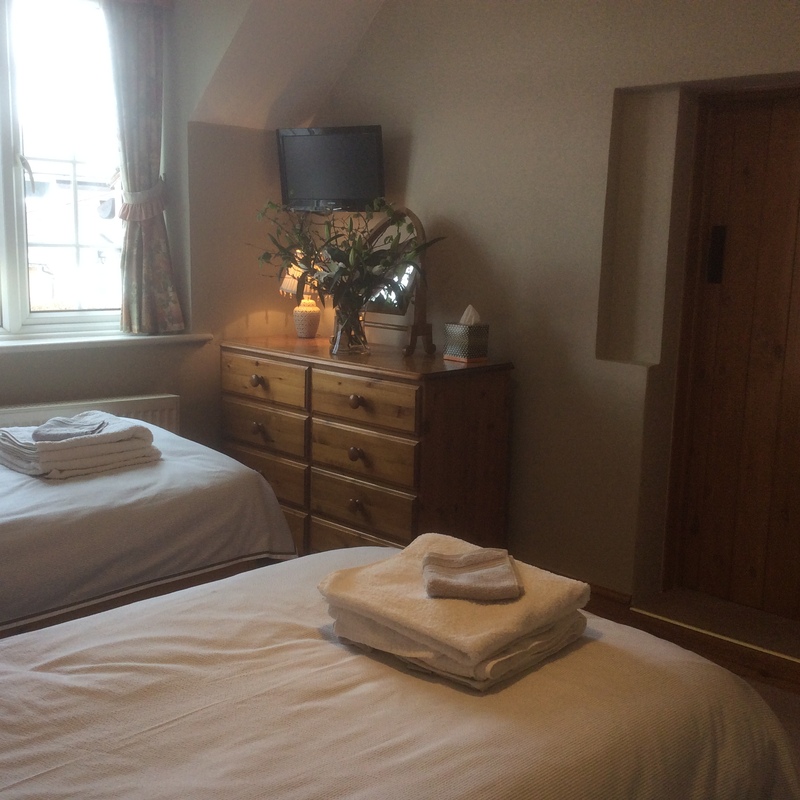 With one double and one twin-bedded room our policy with guests is that we will only accept bookings from families and friends up to four in total. We will never ask our guests to share the facilities or the breakfast table with total strangers. 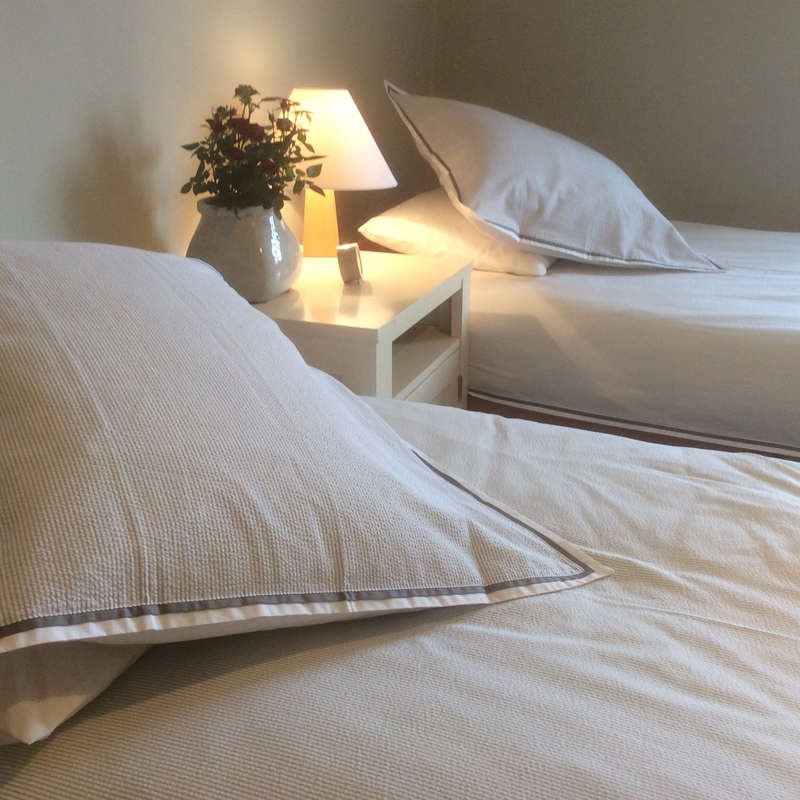 "Thank-you for a peaceful & comfortable stay and the wonderful breakfasts!" "Beautiful house, village & countryside. Thanks for making us so welcome - and the 3-course breakfasts!" 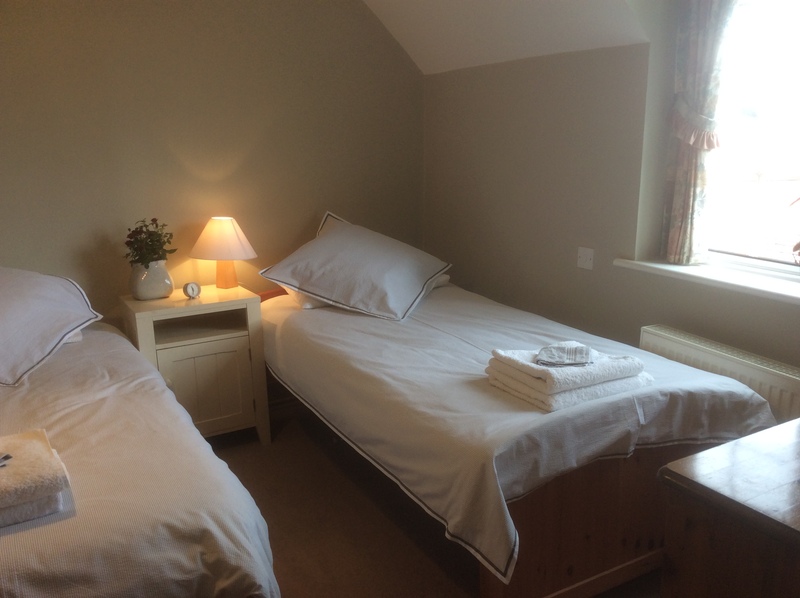 "A delightful stay with charming hosts. 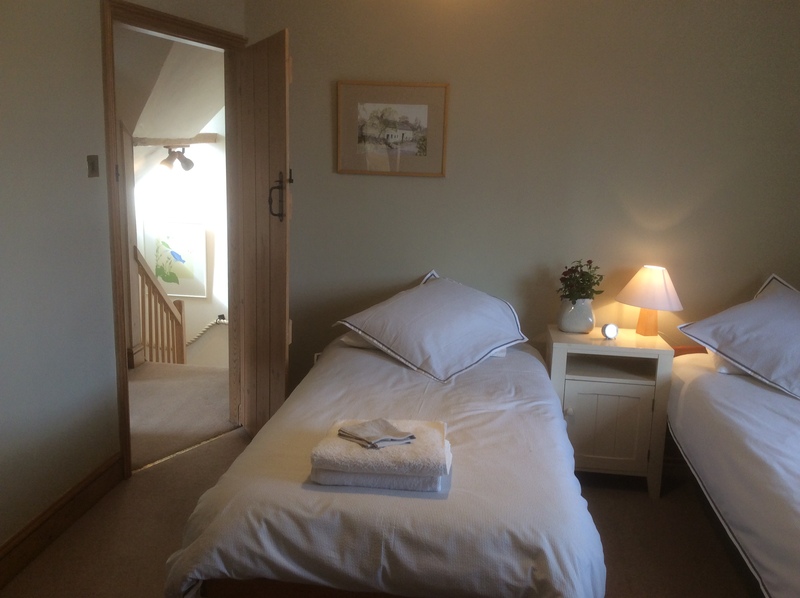 Thank you Mike & Janet"
"Of all the places I stayed the entire 5 weeks I was a guest in your country, Mike & Jan at Two Farm Cottages in Amberley surpassed all their genuine welcome and helpfulness, not to mention the quality of the food." - DEBBY ABBOTT, NEW MEXICO. Random quotes from our visitors’ book. The breakfast table overflows with different ideas that change every month and has been nominated for an excellence award by the AA and a WOW award from many guests. New Site and New Location!